The National Institute for Health and Care Excellence (NICE) has reduced the number of psychodynamic therapy sessions it recommends for people on the NHS from 20 to 16, according to its new guidance released today. Today NICE published its updated guidance 'Depression in adults: recognition and management' which is used by healthcare professionals inside the NHS to direct the mental health care they offer. Professionals had worried that psychodynamic therapy and counselling may be removed from the guidance altogether. The previous 2009 guideline for depression offered 16-20 short-term psychodynamic therapy sessions over 4 to 6 months which has now been reduced to 16 sessions over 12-16 weeks. 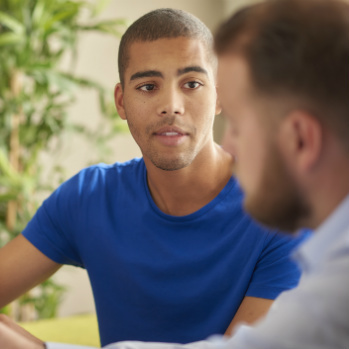 The updated guidance, however, suggests that more sessions of counselling should be offered at 16 over 12-16 weeks compared with 6-10 sessions over 8-12 weeks. "We are pleased that NICE supports the case for counselling as a treatment for depression in adults," Dr Andrew Reeves, Chair of the British Association for Counselling and Psychotherapy (BACP), said in response. “Traditionally NICE privileges evidence from randomised control trials and does not include routine outcome data about how patients respond to therapy in everyday health care services. Now that NICE is recommending this type of data be collected, BACP strongly encourages NICE to make use of what is probably the largest collection of outcome data on adults with depression in the world, through IAPT, to help inform its guidelines." Professor Mark Baker, Director of the Centre for Guidelines, said: “We conducted a major and complex analysis comparing all types of treatment for depression." The draft guidance will be under consultation until the 12 September 2017 where organisations can lobby NICE to alter its suggestions. The final NICE guidelines on depression will be published in January 2018.